"Even death cannot protect you from your past. "—the tagline of the third novel in the Task Force: Gaea series, The Liar's Prophecy. No spoilers to follow. The third installment of this series picks up not long after Memory's Curse ends, and the members of the United Nations Task Force: Gaea—Aegis, Talon, Aether, and Zodiak—will encounter something that has had millennia to fester with a deep-seated yearning for vengeance. While the gods possess the powers of the natural world, this entity's power comes from an altogether difference place, a place beyond the scope of most immortals—prophecy. The enigmatic nature of prophecy keeps those unprepared to know away from powerful information, hence the use of prophets, sybils, or priests. Even Zeus himself cannot decipher certain cryptic auguries. Included in the immortals who can comprehend prophecy are Apollo, the Fates, and Ananke, the goddess of inevitability; these are not the only ones, however. And, a prophetic voice that utters a false prophecy has immeasurable power since the recipient may not be able to tell truth from falsehood until it is too late. Fulfilling a false prophecy would bring irreparable damage. Like Memory's Curse, this story will continue down a darker path, but books four and five will begin to emerge from the underworld, so to speak, so stay tuned for more information. 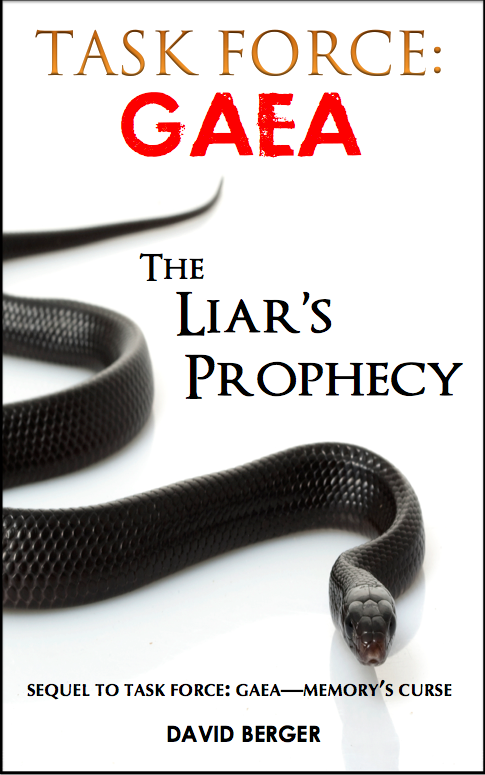 The Liar's Prophecy should be finished by fall 2014, so follow me on Twitter or Facebook for more regular updates.